India is still fighting over its caste system. Here’s why this is a problem for all of us. 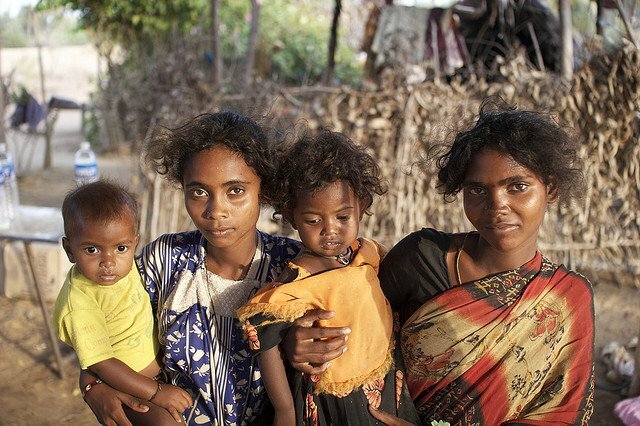 If you want to end extreme poverty in India, you have to end caste discrimination. Last week more than 500,000 people in Indian Prime Minister Narendra Modi’s home state of Gujarat took to the streets to protest what they saw as the unfairness of India’s caste system, but not for the reasons you would expect. 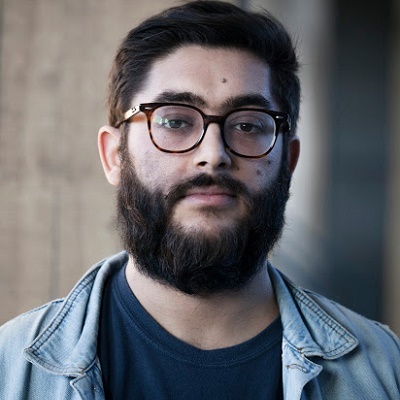 Rather, members of the affluent Patel caste were demonstrating about the ‘reservation’ system which guarantees government jobs to members of minority communities, arguing that they are being unfairly chewed out of opportunities and deserved their own reservations. After the leader of the protests, 22 year old Hardik Patel, was arrested the protests turned unruly- nine people were killed in violent clashes, more were injured and a curfew was instigated. The fact that the issue of caste is once again of political significance has more to do with the fight to end extreme poverty than you would think. First of all, some background. A caste system is a way of dividing a society into differently ranked tiers of people. Although much of the caste system was defined by early Hindu Scriptures the system became what we know it as today under colonial rule. Both the Portugese and subsequently the colonial British regime segmented groups by caste and gave senior administrative jobs to higher castes. Lower castes were denied access to basic healthcare and education and often shunned entirely from society, left to do jobs considered ‘unclean’ such as waste disposal, toilet cleaning and cremation. Dalits, also known as ‘untouchables’ who were considered to be outside of the caste system, suffered particularly badly under this system- stories abound of ‘untouchable’ children being spat on and forced to bathe in the same water as animals. Thanks to the tireless efforts of pioneering social campaigners like B.R. Ambedkar, caste inequality was forced onto the agenda. After India achieved independence, quotas on employment- known as ‘reservations’ were introduced into the Constitution, and discriminating against the lower castes was made illegal. By 1990, the quota rose to about 49%, and it applied to groups that were classified as "Other Backward Classes”, "Scheduled Castes," and "Scheduled Tribes" (groups of historically disadvantaged indigenous Indians). So why the resentment from the higher castes? 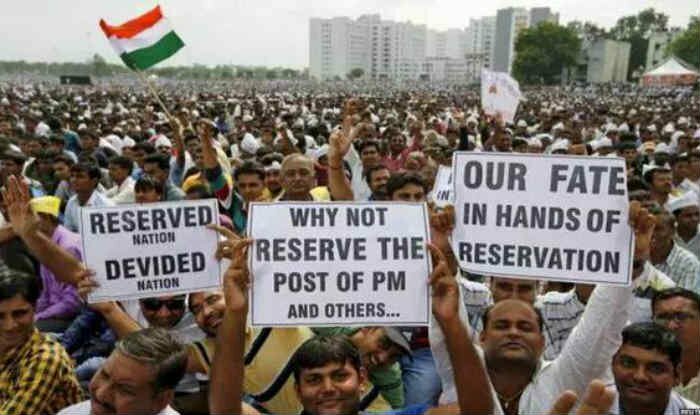 Surely the reservation system merely serves as a means of rectifying a major inequality in Indian society? Well, the answer is complex. Higher caste children are finding it very difficult to get jobs that they previously would have gotten easily. SCs, Scheduled Tribes (STs) and Other Backwards Classes (OBCs) applying for government positions don’t need to achieve as high grades as those from higher castes, therefore fostering feelings of frustration and resentment. Sociologistshave suggested that Patels are feeling the pinch of ‘neo-middle class syndrome’- while they aspire to achieve a better life, education remains expensive, as do the other trappings of middle class life such as a car and a house. Meanwhile, well-paid jobs remain scarce despite claims of an ‘economic miracle’ in the state. However, the reservation system cannot be dismissed as token gesture- it is clearly responding to a very real inequality. The people who benefit from the reservation system- including women, Muslims and the disabled- compromise more than two-thirds of the population of India. Patels, meanwhile, compromise only one-seventh of the population of Gujarat and are significantly overrepresented in the state’s economic and social elite, but still feel that they are being unfairly treated. It is also very difficult to tell the difference between people opposing reservations based on actual grievances and those simply upholding the same prejudices that have contributed to inequality in the first place. People who say that positions should 'only be given on merit' are possibly ignoring the fact that inherited privilege in some groups (compared to centuries of disadvantage in other groups) has created a very uneven playing field. It's much easier to achieve 'merit' in India if you come from a background of wealth and opportunity. Add to this the fact that marrying outside of your caste is highly frowned upon, meaning wealth stays within a small number of families, and it is hardly a surprise that progress has been slow. The levels of poverty amongst these groups is shocking. As Jasmine Rao put it ‘though illegal, the caste system continues to be one of the key drivers of inequality in India’. Many of India’s 220 million Dalits remain excluded from society, with around 30 million trapped in quasi-slave labour paying off the ‘debts’ of their ancestors. Meanwhile, a 2014 report found that 44% of people from Scheduled Tribes and 34% of those from Scheduled Castes were living below the poverty line. By all standard measures- life expectancy, infant mortality, rate of infectious disease- lower castes are massively disproportionately affected. If you want to wipe out extreme poverty in India, then redressing economic, social and political inequality between the castes is essential. Lower castes continue to be denied proper education, or any education at all. Tinkering around the edges isn't going to solve a problem this widespread, it's going to require something bold. The question then, is are reservations the way to tackle this imbalance between the castes? Well, there has clearly been a significant increase in public sector employment for OBCs, SCs and STs, which has also coincided with a drop in poverty amongst these groups. Since 1950 the number of lower caste people in senior managerial positions has also increased tenfold and in 2007 India elected its first Dalit Chief Justice. But reservations and quotas by themselves are not enough. In fact, many critics of the reservation schemes have suggested that allocating jobs can serve as a dangerous distraction from truly tackling the long-term disadvantages faced by lower castes. What is urgently needed is continued improvements in educational opportunities from an early age for children from lower castes. Reservations can offer a realistic pathway into government jobs for people from lower castes, but it's education that has the power to make the next generation highly competitive in other lines of work that the government doesn't control recruitment for (banking, IT, journalism etc). A 2014 report found that Dalit schoolchildren still comprise the majority of dropouts, largely due to being required to work for the sake of their families' survival. It is crucial that leaders in India continue to challenge the mindset of those who seek to maintain the status quo. Of the Dalit children who stay in education, the majority are still forced to sit in the back of class and banned from touching mid-day meals. Similarly, a recent survey found that 65% of health workers still refuse to visit SC and ST settlements at all, denying basic care to some of India’s most vulnerable people. Violence against Dalits remains rife. As long as this kind of prejudice remains progress will continue to stall. Modi, himself a member of an Other Backwards Class but at risk of alienating his core support of Gujurati Patels, has been very reluctant to challenge prejudicial language during these recent anti-reservation protests. If the Indian government remains committed to tackling extreme poverty then they must find longer term solutions to caste inequality than are currently in place.